Jump into the big blue and start an exciting adventure with the Blue Dolphin. During this adventure, you will meet many creatures living under water. There is a happy turtle swimming around, shoal of beautiful yellow fishes and of course the blue dolphin inviting you to the adventure. The plunge into refreshing waters can award you with some nice wins and there are also Free Spins to catch. It is time to take a look into Blue Dolphin Video Slot, a creation of Amatic Industries, Austrian game provider founded in 1993. 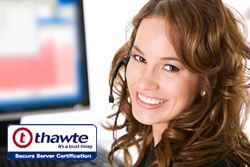 They have a lot of experience in the industry and it has created games for land-based and online casinos. Over last few years Amatic has started to build their online casino games with enthusiasm and has already a vast selection of Video Slots. The most popular products of Amatic are probably roulette games. Their multiplayer roulette games have played a big part in growing their reputation. One of their biggest creations have been multiplayer roulette games. However, Amatic is versatile game provider and has successfully brought some great games on the floors of land-based casinos, but also for online casinos. Amatic’s Video Slots are mostly 5-reelers with intriguing features to spice up the gaming experience. Graphics and gameplay are usually kept relatively simple, so their games are extremely good entertainment for many kinds of players. In addition to Blue Dolphin, Amatic has created titles like Admiral Nelson and Book of Fortune. The reels of Blue Dolphin Video Slot are set against bubbly background. These light blue bubbles bring life to deep blue colour behind the reels – you can really get the underwater feel while playing. Logo of the game is set above the reels and under them you will find control panel, from which you can set your bet and spin the reels. On the reels of Blue Dolphin, you will see some underwater creatures swimming around, but also traditional card deck symbols in bright colours. The latter will bring you the lowest payouts of the game, before conch, octopus, lobster, and shoal of yellow fish. Small, smiling turtle will bring you second biggest wins before the Blue Dolphin, which is the top player of the game. Dolphin can bring you the biggest wins of the game, but acts also as a Wild Symbol on the reels. There is also a treasure hidden under water. It is beautiful, golden crown which acts as a scatter on the reels of Blue Dolphin. 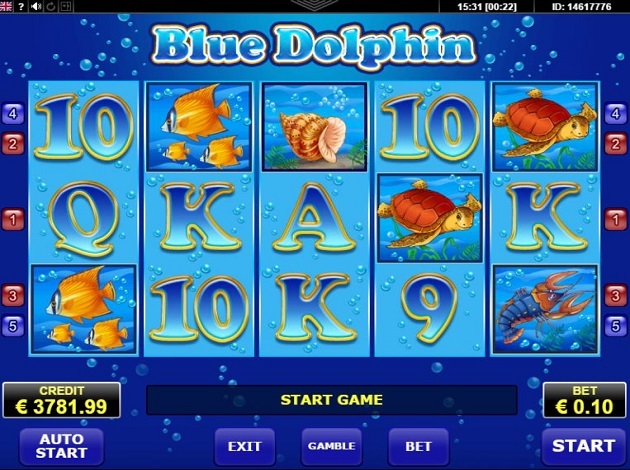 You can guess the theme of Blue Dolphin Video Slot from its name. This game will take you for a swim in the ocean and introduce you to dolphins and other underwater creatures. You will get to enjoy fun and exciting adventures with your new friends and the beautiful blue scenery the game offers. If you have ever dreamed of swimming with dolphins, this is your chance to do it – and collect some wins on your way! Blue Dolphin is beautifully designed game with quite simple, cartoon-styled symbols. Visually, the game is nice and inviting and the sounds fit the theme very well. While playing, you will get to hear some upbeat music and traditional slot game sounds. Blue Dolphin is 5-reel Video Slot with 5 paylines to keep active. You will get to choose how many of the paylines you want to activate, but remember that you only get the wins from the symbol combinations landing on the active paylines. Setting the bet is simple. You just need to click the “Bet” button and activate the paylines you want and then set the bet per line. The total bet of the game depends on the set bet per line. Blue Dolphin is an underwater themed slot with Free Spins and Wild Symbol. In addition to these features, you have no Bonus Game on the reels. With all the fun and excitement, you are not going to miss that specific feature, but if you wish to play a game with the possibility to trigger Bonus Game, you might want to try out iSoftbet’s Dolphin’s Island Video Slot. In this game, you will trigger Bonus Game when 3 bonus symbols land on the reels. These symbols will take you to spin the Bonus Wheel, from which you will find some bonus wins. The golden crown – precious underwater treasure – is the Scatter Symbol of the Blue Dolphin Video Slot. Landing 3 to 5 of these symbols on the reels on a same spin, you will trigger 15 Free Spins. During these spins, you will get all the wins tripled. You also have the possibility to retrigger Free Spins Feature, so if you are lucky, your Free Spins are not ending in 15. And the best thing is that all the wins you get during Free Spins are tripled! As mentioned before, dolphin is the Wild Symbol of the game. This special symbol can substitute all the other symbols except Scatter and help you to complete winning combinations. And in this game dolphin can double the fun! Every time it substitutes some other symbol in winning combination, your win is doubled. Have you tried swimming with dolphin? Now you have a chance to do that and win some money while you are at it. Join Blue Dolphin for a refreshing swim and meet all the fun creatures swimming under water. When you come across the golden crown, you might get Free Spins with triple wins. We are sure you are going to enjoy the Blue Dolphin Video Slot as much as we did, so go and try it out!